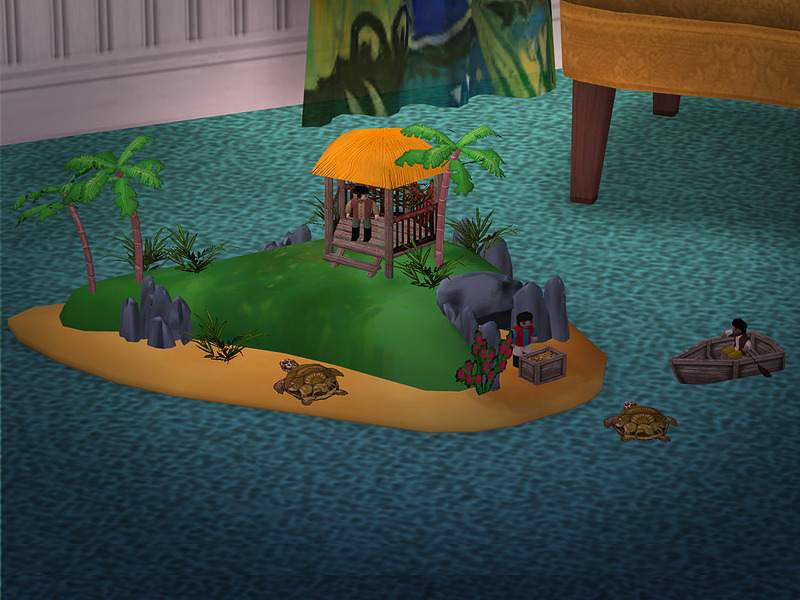 Description: Two bouncy seats in floor and tabletop versions. 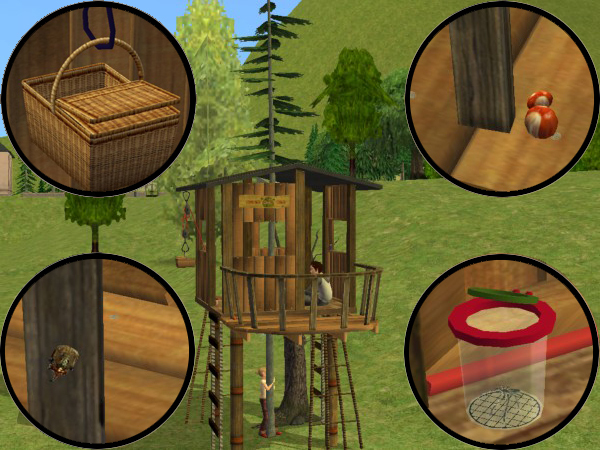 Description: A set of three spring riders (spaceship, horse and zephman) converted from The Sims 3. 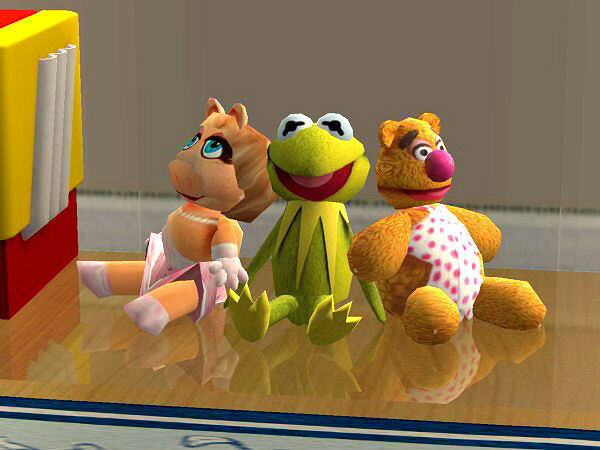 Description: The Muppets soft toys. 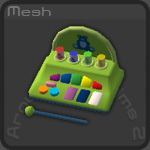 Description: A toy that allows toddlers to gain creativity. 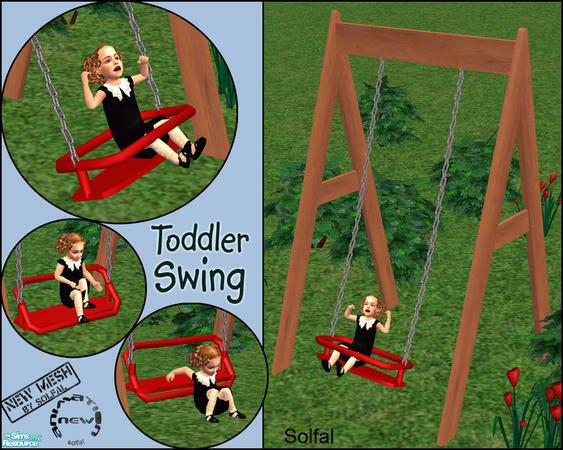 Description: An animated swing for babies only. 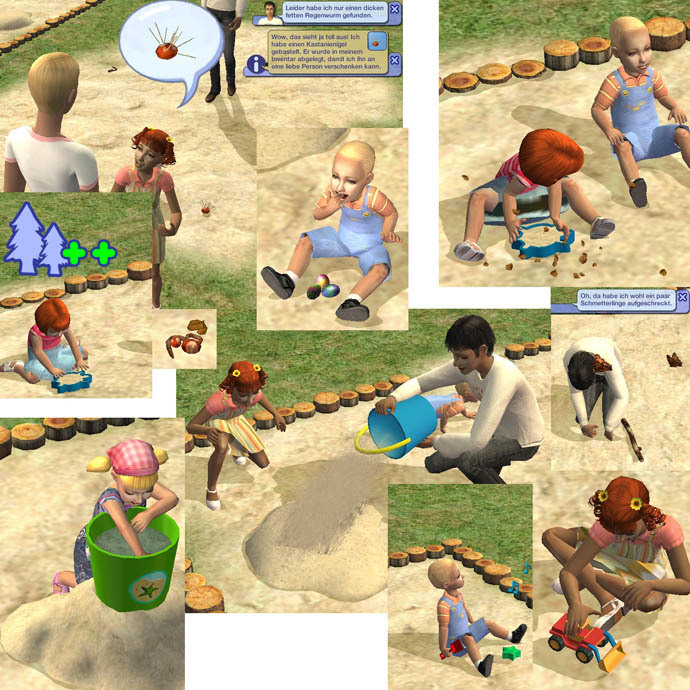 Description: Functional sandbox with toys and other stuff. 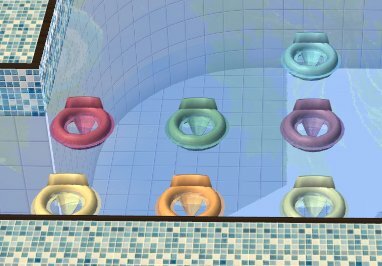 Description: Echo's Toddler Pool recolours in LACK and MLC. 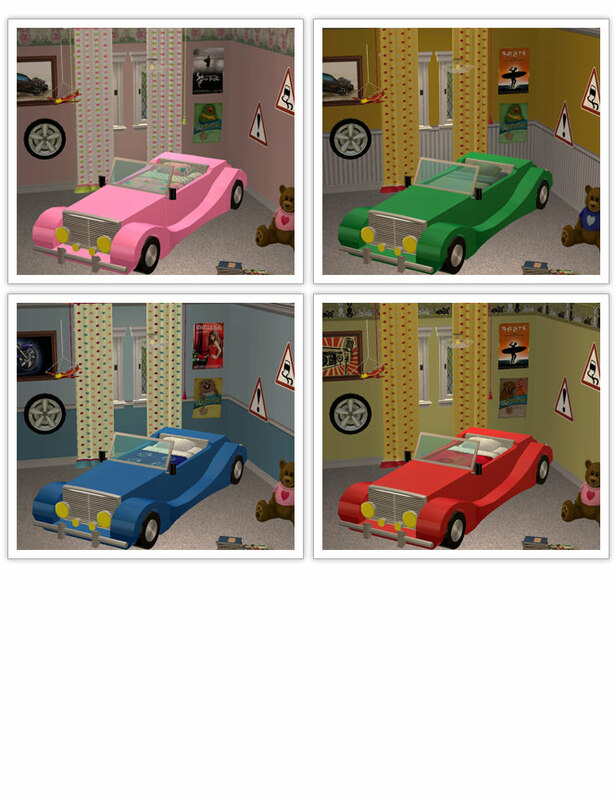 Description: Rebecah's Swim Tube recolours in MLC. Description: A working car seat for toddlers. 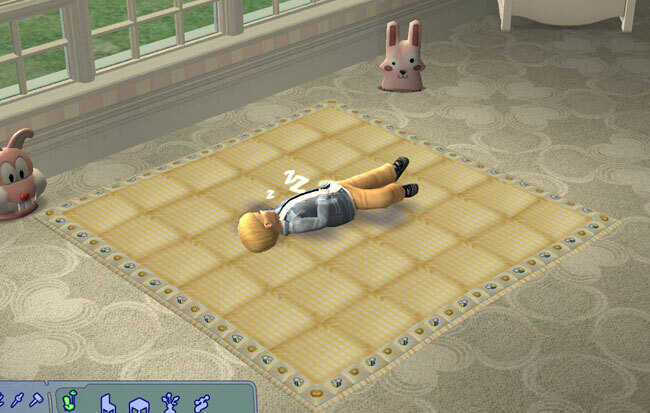 Description: Quilted toddler blanket bed. 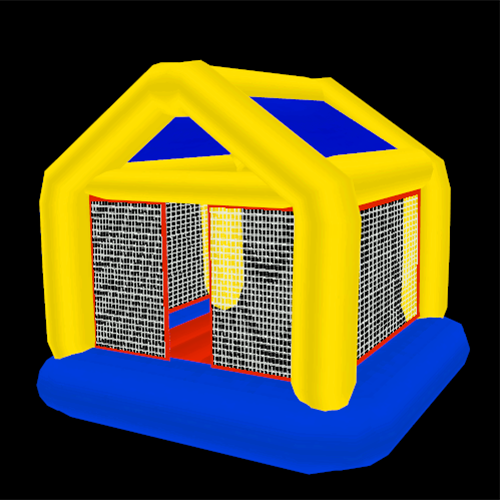 Description: Inflatable jumping castle. Decorative only. 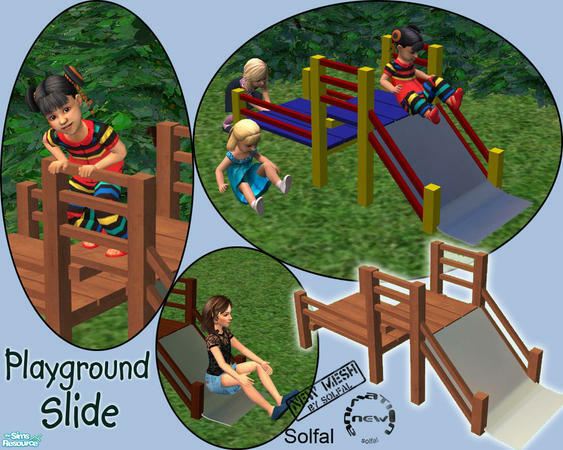 Description: Playground slide for toddlers and children, who will gain fun by using this object. 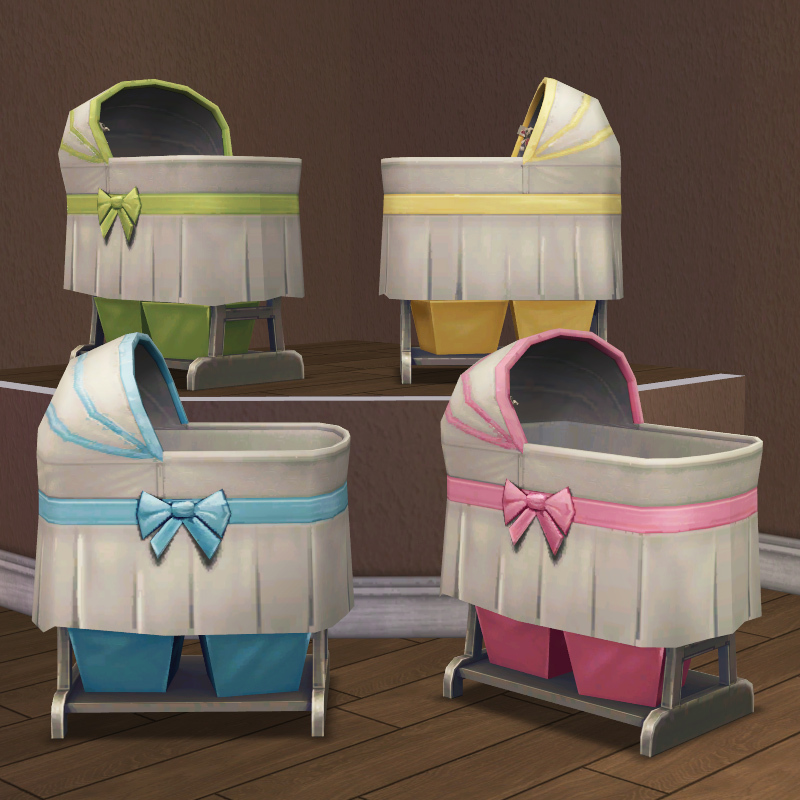 Description: Baby bassinet converted from The Sims 4. 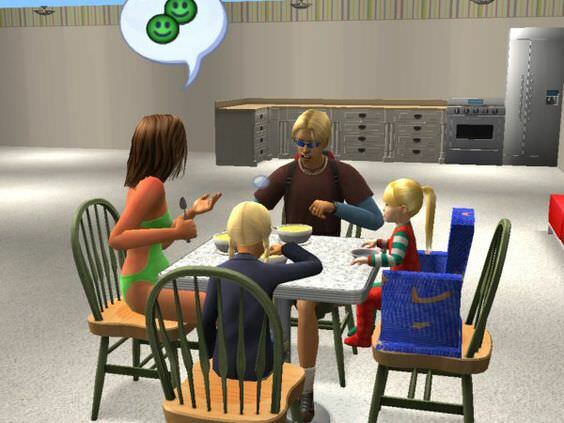 Description: Toddlers can sit with everybody else if you use this chair. 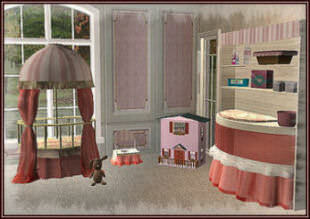 Description: Red nursery with a bassinet. 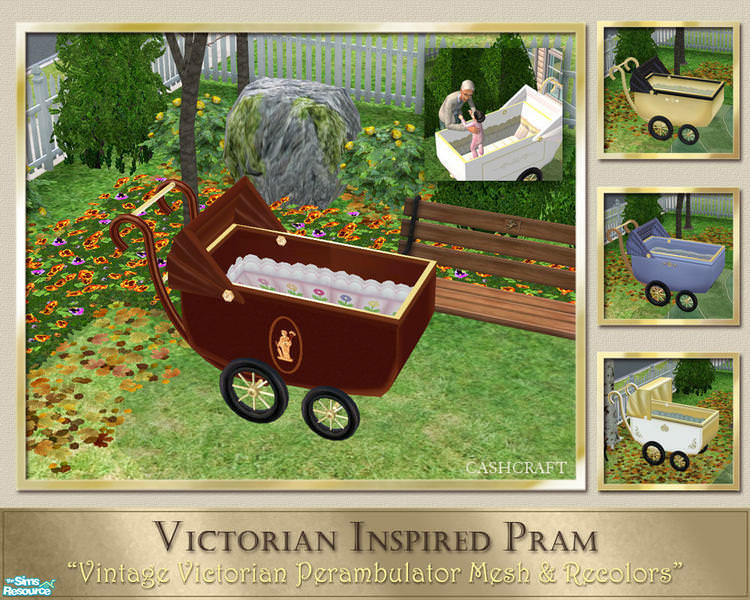 Description: Vintage pram in 6 colours. 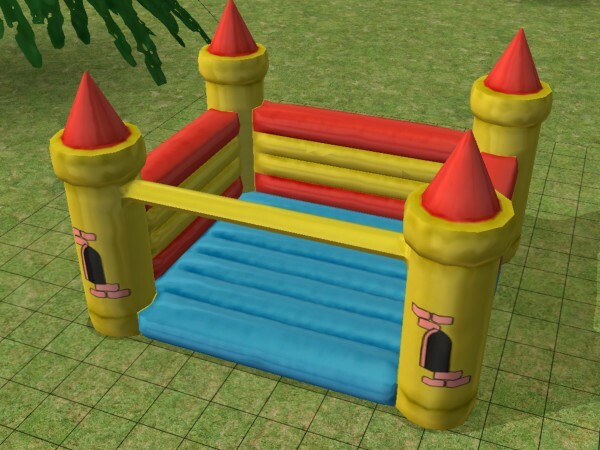 Description: Functional jumping castle. 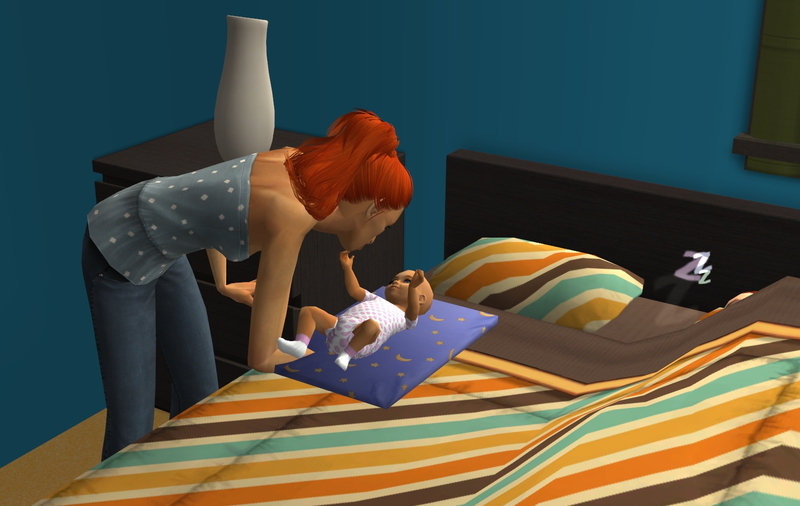 This Jupiter jump will be the highlight of any young Sims birthday party, and is fun for young and old alike. Up to three Sims can jump on the Jupiter jump at a time.